Blizzard has kept details of its Allied Commanders mode fairly hush-hush for the last several months. But now it has offered up a few more juicy information from Gamescom. 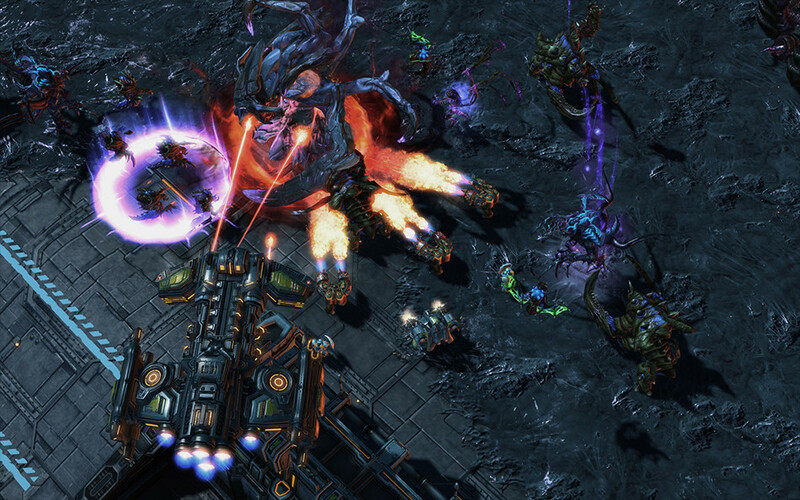 StarCraft II: Legacy of the Void will bring the three-part game to a close with the Protoss campaign. 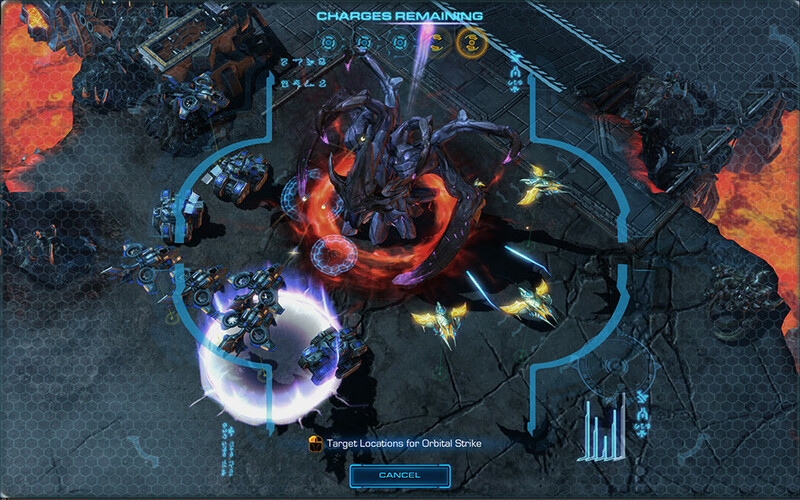 But one of the more interesting aspects of the game will be the co-op Allied Commanders mode, which will allow players to choose from Raynor, Kerrigan or Artanis to complete different missions. Each character offers different abilities. Raynor, for instance, can call down the Hyperion or Banshee strikes. 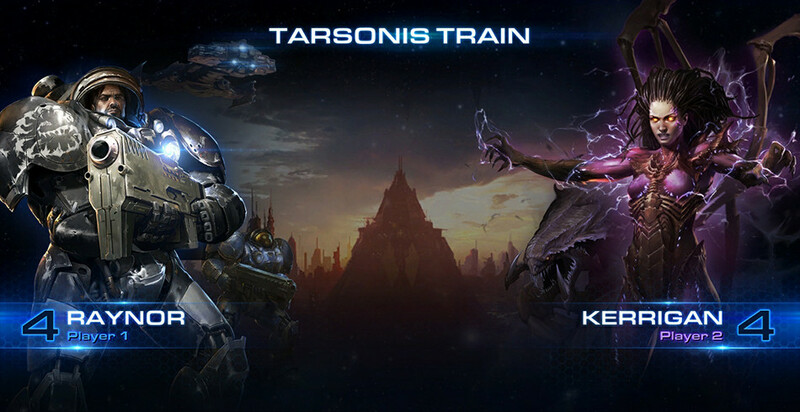 Kerrigan can insert herself into battle or bring in more powerful Zerg units. Artanis can call down orbital strikes from the Spear of Adun or instantly warp units in to the battlefield. From some of the screens released, it appears three other heroes could eventually be unlocked. There will be several types of co-op missions to choose from, but most are designed to be solely for coordinated two-player play against the AI instead of solo. Players will also be able to choose a difficulty and bonus objectives for these missions if they want to test just how good they really are together. The higher the difficulty means greater reward, although there is no mention of exactly what that reward might be. 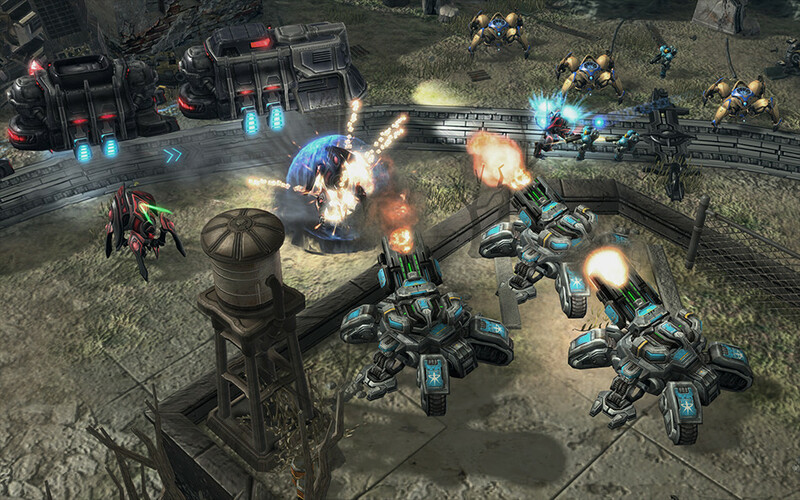 As the commanders level up to a max of 15, they will be able to unlock new abilities and units. 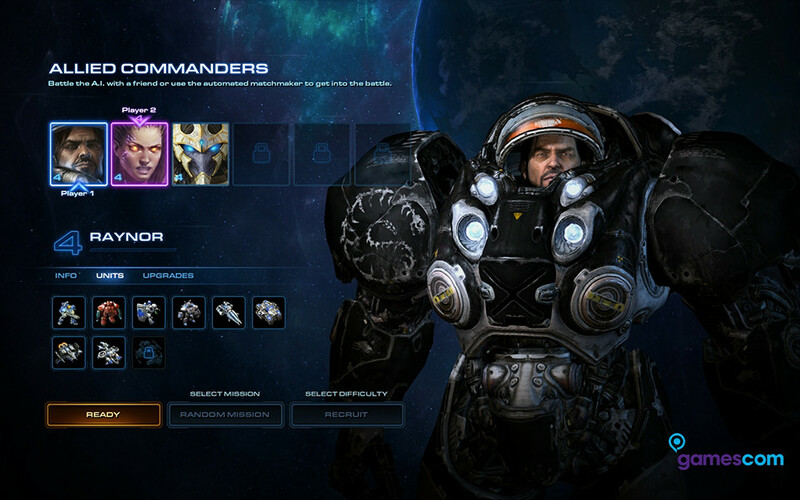 In one screenshot, Raynor looks like he has all but one unit type at level 4. 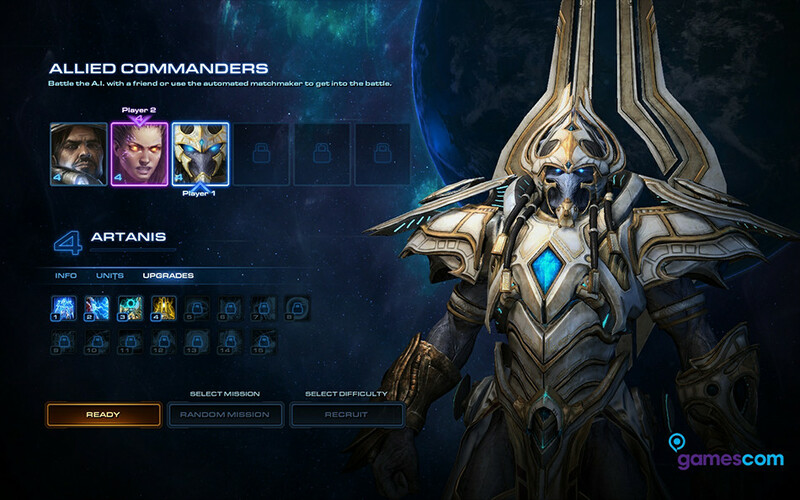 Another shot shows Artanis with four upgrades at level 4 out of the possible 15. Blizzard has promised more info as the game gets closer to release.